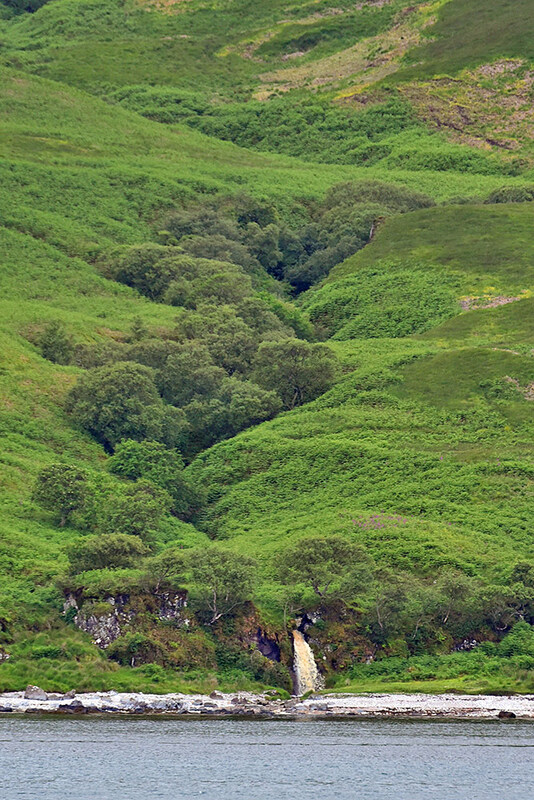 Viewed from the ferry in the Sound of Islay, this waterfall is just south of An Cladach. Unfortunately I don’t know its name, there’s nothing mentioned in the OS map. It’s at the bottom of Gleann Ghàireasdail. This entry was posted in Cloudy Weather, Landscape, New Post and tagged An Cladach, Gleann Ghaireasdail, Islay, Sound of Islay by Armin Grewe. Bookmark the permalink.